Could the employment situation in Sacramento be even worse than we thought? The 3rd quarter 2010 data from the QCEW (Quarterly Census of Employment and Wages, source: unemployment insurance filings) says yes. A quote from today's news release from the BLS. Things don't get much better when adding in the other 3 counties in the Sacramento Metro area, as Yolo and El Dorado also posted job losses that were greater than a slight gain in Placer. The bottom line is that the Sacramento metro lost over 23,000 jobs from Sept 09 to Sept 10 according to the QCEW, more than double the 11,000 decline in the reported by California EDD over the same period. Unlike EDD, the QCEW actually shows significant state government employment declines in Sacramento, in addition to large drops in the financial sector and local governments. The QCEW data is not sample based and considered more reliable than the EDD monthly reports (but it comes out 6 months later). As noted in the quote, San Joaquin County was the 2nd worst over this period, but the reported losses were similar to those reported in the EDD reports so it wasn't a surprise and isn't worse than we thought. To summarize, this new data reaffirms the story that we have been telling for over a year, Sacramento has the worst performing economy in the state, and it may be even worse than originally estimated. It may be time to finally change the title of this monthly post from "Unemployment Friday" to "Employment Friday"....unless you live in the Sacramento Area. Statewide, non-farm payrolls boomed by 96,500 in February following a flat reading for January. The surprisingly strong performance means non-farm payrolls have surpassed the 14 million mark for the first time since June 2009 and have gained an impressive total of 208,000 jobs in the 5 months since bottoming out in September 2010. I am unconvinced that this is a sustainable pace as the sizable gains in construction and information will likely receed in coming months. In addition, the household survey (used to calculate the unemployment rate) shows much weaker employment growth. Employment in the household survey is only up 40,000 off the bottom and slight decrease in the statewide unemployment rate has as much or more to do with the decreasing labor force than significant gains in employment. Nevertheless, there is enough good news in this report to confidently declare that the entire state is out of the recession with the notable exception of Sacramento. Yes, even Northern San Joaquin Valley areas such as Stockton and Modesto; and the Inland Empire are showing signs of recovery in the private sector even as they are being battered by local government cuts. Our next state and metro forecast update will be in April. Will Tom Philp use the Bay Bridge - Delta Conveyance analogy for financing conveyance? Tom Philp, executive strategist for the Metropolitan Water District, compares the Bay Bridge replacement to Delta Conveyance when discussing the sizing of Delta conveyance. I think it is a much more interesting and relevant analogy for the issue of finance, but I doubt we will see the Bay Bridge toll analogy from MWD when it comes to finance. First, here is information on Bay Area Bridget tolls from the Bay Area Toll Authority. In fiscal year 2009-10, approximately 123 million vehicles crossed the seven state-owned toll bridges in the Bay Area, generating approximately $466 million in total toll revenues — including $130 million in base toll revenues, $112 million in Regional Measure 2 revenues and $224 million in seismic retrofit surcharge revenues. The base toll revenues are used first to cover the ongoing operations, toll facilities maintenance and administration of the bridges. Remaining toll revenues fund debt service on Regional Measure 1 project financing and various transit and traffic-relieving capital projects that serve the bridge corridors. The seismic surcharge toll revenues are used to fund a multibillion-dollar seismic retrofit program to strengthen and reinforce bridge structures and roadways on all of the seven state-owned Bay Area bridges, including replacing the eastern span of the San Francisco-Oakland Bay Bridge. It looks like at least 25% of the bridge toll revenues go to subsidize non-bridge transit, and the bridge tolls also cover 100% of the construction, maintenance of the bridges and their seismic retrofits. Motorists clearly value the services of the bridge enough to fully pay it's cost + a whole bunch of congestion and pollution reducing mitigation projects (it looks like about 50 cents for every $1 they spend on the bridges). Compare that to Delta conveyance where there are serious questions as to whether the water project customers are willing to pay the construction and operations costs of Delta conveyance, let alone mitigation. Since Philp is interested in sizing, it is worth noting that the toll revenue is sufficient to pay for a bridge with even more lanes, yet they decided it was better to pay for fewer lanes and subsidize transit. If we were to think about sizing/finance of Delta conveyance similar to the Bay Bridge we would be talking about charging MWD's customers enough to pay for 2 tunnels; but only build one tunnel and use the rest of the money to subsidize urban water conservation, water recycling plants, storm water capture, etc. Here is Philp's analogy on sizing projects (in fairness, he admits it isn't the best analogy, but for other reasons). When Caltrans decided that the eastern span of the Bay Bridge needed replacing because of earthquake concerns, there was no debate about how big to build it. The old bridge was five lanes. The new bridge will be five lanes. There was no discussion about intentionally constricting it to, say, promote carpools or public transit or to save on construction costs. Size/capacity was never an issue. The facts on Bay Bridge finance seem to show that Philp is wrong. They could have made the bridge bigger, but they didn't and are using bridge tolls to promote public transit. I don't think I've seen two public calls for cost-benefit analysis of water projects all year. While browsing Aquafornia tonight, I see 2 posts asking for cost-benefit analysis in a single day. 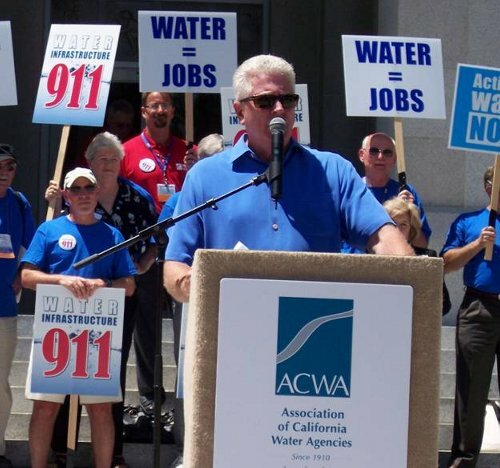 Even more amazing, it is coming from sources that I usually criticize: ACWA and Rep. Tom McClintock. Tremendous. I have given ACWA a hard time in many posts on this blog, especially for their PR efforts like their "National Geographic" magazine, and when they staged their own water=jobs march on Sacramento back in 2009. Back to the point. I was delighted by this excerpt in ACWA Executive Director Tim Quinn's comment letter to the Delta Stewardship Council. The Delta Plan needs to include an assessment of the fiscal costs and economic impacts of the proposed actions...To the extent possible, the Plan and EIR should also disclose potential impacts (favorable and unfavorable) of each alternative on local, regional, and statewide economic stability. The plan should promote actions that, to the greatest degree feasible, encourage local and regional solutions. Tim Quinn has a background in Economics and I think he knows what this means. He certainly has incentives to be careful to keep his member agencies out of financial trouble and reasons to be concerned. Maybe he can orchestrate an ACWA march to the next Stewardship Council with signs that say Cost-Benefit analysis now! I would grab a sign. Jokes aside, this is encouraging. It's time for more economics and less PR. On to Tom McClintock. This paragraph in Rep McClintock's opening statement for the HouseWater and Power Subcommittee meeting was a surprisingly rational departure from the over-the-top political rhetoric. We will seek to inventory all of our potential water and power resources, establish and apply a uniform cost-benefit analysis to prioritize financing for those projects that produce the greatest benefits at the lowest costs, and to restore the “beneficiary pays” doctrine that assures those who benefit from these projects pay for these projects, protecting general taxpayers of one community from being plundered for projects that exclusively benefit another. Wow, I completely agree with an entire paragraph from a Tom McClintock speech. Unlike Tim Quinn and ACWA, I wonder if Rep. McClintock really knows/wants what he is asking for here. Real cost-benefit analysis of water projects could favor efficiency (aka "scarcity" mentality) over dams and the "abundance" agenda he is promoting. I strongly recommend Philip Martin's book, Importing Poverty: Immigration and the Changing Face of Rural America, (2009, Yale University Press). I just finished reading it, and believe it has a lot to say about the path to more sustainable and prosperous future for the Valley Economy. 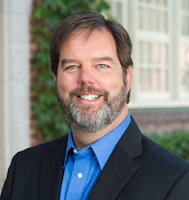 Martin takes a dynamic approach to the issue of farm labor, and discusses the challenges of integration and how the farm labor treadmill creates long-term economic development challenges for the economy of the Central Valley. Martin discusses the potential and the need for greater mechanization to keep American agriculture competitive and raise wages in the agriculture sector. He is critical of past attempts at immigration reform and much of the agriculture industry's arguments for legalizing the status quo of a revolving door of cheap, foreign, unskilled labor. In the final chapter, he discusses AgJobs, the controversial immigration reform proposal endorsed by the agriculture industry and farm workers. The AgJobs proposal would provide a path to legalization (green card) for immigrants who worked in agriculture for five years, fulfilling the desire of farmworker advocates for a path to legalization and the agriculture industry's desire for a low-cost foreign workforce by continuously replenishing the 1.4 million guest farm workers holding "blue cards". In a sense, it legalizes the current farm labor treadmill. In previous posts, I have criticized the deceptive way the agriculture industry has promoted the bill, but stopped short of completely opposing it. Martin proposes an improvement to the AgJobs proposal to "regularize and rationalize" the farm labor market. Employers would pay a payroll tax on the wages of "blue card" holders with the funds dedicated to two purposes: 1) mechanization research and development and 2) bonus payments for guest workers who choose to return to their home country at the end of five years instead of receiving a U.S. green card. This would smooth the transition of the agriculture industry to a more capital and less labor-intensive future, reduce the flow, and resulting integration problem, of new low-skilled immigrants to rural communities, and should improve the situation of hard-working immigrant farm workers. It is more costly for farmers than the current AgJobs proposal (especially in the short-run), but it is more fair and less costly on taxpayer and rural communities in the long-run. Martin is an agricultural economics professor at UC-Davis, and I wish his ideas and research were receiving more discussion in the Valley. I believe labor (not water) is the most crucial long-run agricultural issue in the Valley economy, and I would like to see more UC agricultural economists dedicate more resources to researching and searching for solutions in this area.